Manufacturer of a wide range of products which include vermicelli machine, cutting vermicelli machine, sewai making machine and vermicelli making machine. Being well-equipped with the latest technology machinery & equipments and supported by a team of professionals, we are engaged in manufacturing and supplying Vermicelli Making Machine. 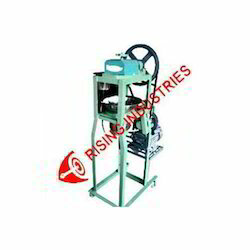 This machine is manufactured under the firm guidance of expert supervisors using high quality materials. To provide a defect free range, we check this machine on construction and performance parameters. 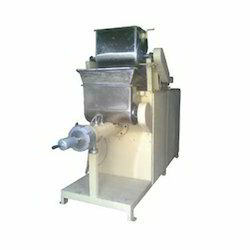 Clients can obtain this Vermicelli Making Machine in different designs and finishing from us. 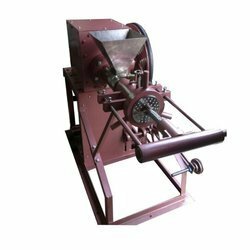 Being well-equipped with the latest technology machinery & equipments and supported by a team of professionals, we are engaged in manufacturing and supplying Cutting Vermicelli Making Machine. This machine is manufactured under the firm guidance of expert supervisors using high quality materials. To provide a defect free range, we check this machine on construction and performance parameters. Clients can obtain this Cutting Vermicelli Making Machine in different designs and finishing from us.